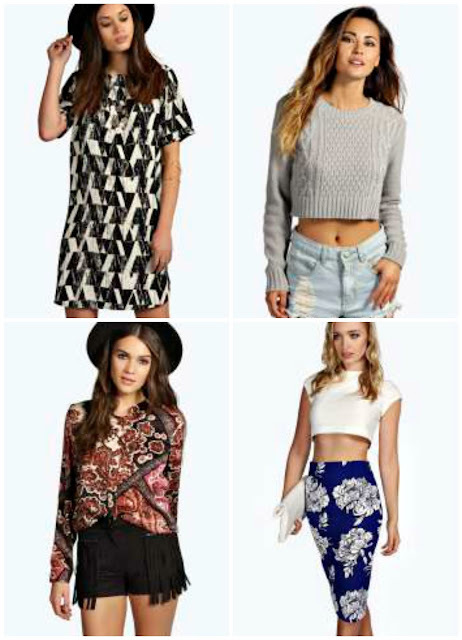 It is no secret that I am quite the fan of Boohoo.com. My brother recommended it to me as he said it is good for cheap next day deliver and, as impatience is obviously a shared trait between us, I was keen to check it out. Admittedly, finding something really nice takes a bit of searching - I am not overly keen on some of their things - but the search always seem to pay off for me and I end up finding more nice things than I can afford. However, another plus is that everything is pretty reasonably priced which is good for penniless students like me. 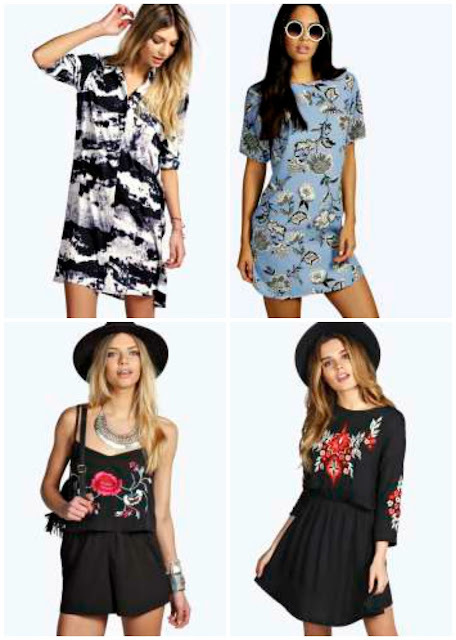 My favourite from these things I found is the smudge print dress - it reminds me of something you would find in a shop like Seasalt. Either way, I definitely think it looks a lot more expensive than it is and I just love this print. I can imagine pairing it with tights, black heeled ankle boots, and a burgundy knitted cardigan for autumn. I love the grey jumper with jeans! So classic! I love all of your picks!! I like the colour and print of the midi skirt!